There are few things that get homeschool mamas more excited than curriculum shopping and designing a homeschool space. It’s the promise these things hold. The promise of a magical year coming up. Homeschool mamas are some of the most optimistic women there are, and there is nothing that says hopeful more than custom designing spaces while dreaming of the fun days ahead with our kids. 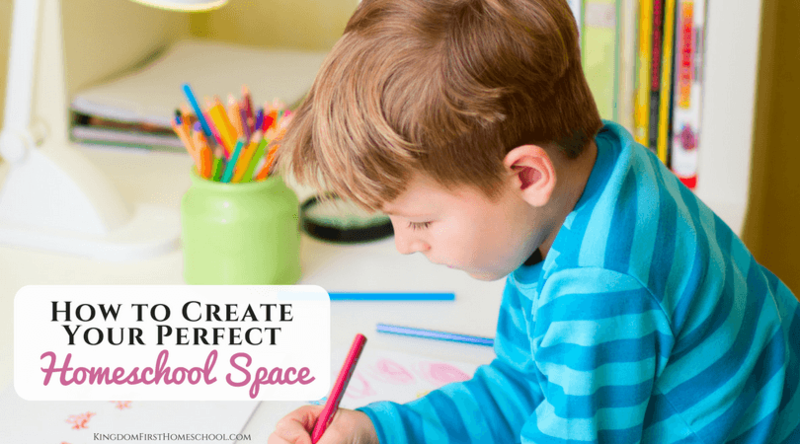 Designing a homeschool space can be a lot of fun. It can also be a little daunting. And what if you don’t have a whole room to dedicate? A lot of parents worry they can’t homeschool if they don’t have an entire room to devote solely to schooling. Don’t worry! You can homeschool anywhere. A room can be helpful, but it isn’t a necessity. Make the space you have work for you with these tips. Before you do anything, the very first thing to do is take a look around your home and see what spaces you have available to work in. There is little point in imagining a large homeshool room lined with bookshelves if you live in a small apartment. Walk around your home and take stock. Do you have the space for a designated homeschool room, maybe with a little bedroom shuffling, or are you going to need to make the dining room or living room do double duty as your workspace? When you are choosing your base you are also going to want to consider a few other things. Is there ample lighting? If you are going to be using computers, are there power outlets? Is there enough room for all of the kids to work at the table or maybe to have their own desks if they are older? Once you’ve decided if you are going to create a homeschool room or use another space in your home, the next thing to consider is your family’s homeschool style or philosophy. Your homeschool style is going to have a big impact on the way you use your space. 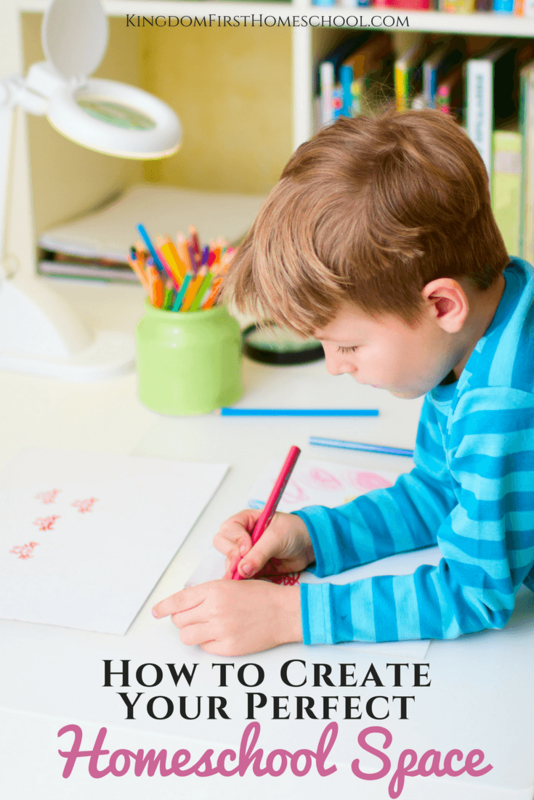 If you are going the traditional method you might want to consider making room for desks and a whiteboard, whereas if you are unschooling, empty spaces just waiting for projects to fill them might be more important to you. Families taking a Charlotte Mason approach may want to consider having somewhere comfy to snuggle together while you read aloud. For Waldorf-inspired homeschoolers, being able to spread out your art materials may be the number one consideration. 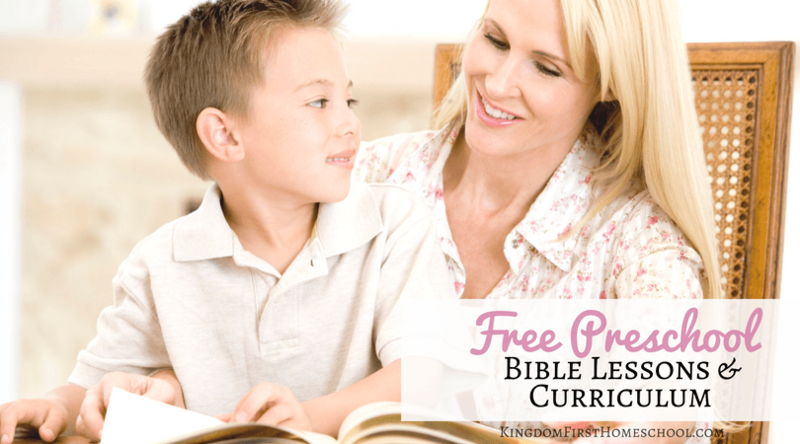 Let your philosophy or homeschool style guide you. 3. What will your homeschool space be used for? Your philosophy, or perhaps even the curriculum you have chosen for the year, will lead you towards certain activities more than others. What activities will you be doing? Maybe you’re a family who likes to play a lot of boardgames as part of your learning. In that case, you will probably need a table you can all fit around. Perhaps like my Waldorf-inspired family, your daily lessons involve lots of physical movement. For us, floorspace is more important than desk space. If there is a lot of art happening, your major concern might be to have easy-clean surfaces and no carpet under the table. 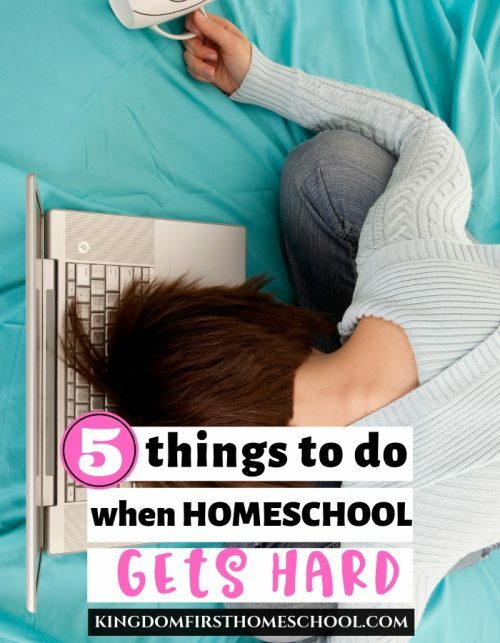 Let the activities you are doing in your homeschool guide you towards the furnishings you need. And don’t forget things like chalkboards or whiteboards come in under furnishings too. 4. Where will you keep your materials? So you’ve decided where you will homeschool, and you know how you are planning to use the space and the furniture we need. Next we need to think about the materials being used this year. Are you trying out workboxes or do do you have a stack of read alouds to get through? Make a list of everything you need to store, and another of the things you need to keep out for daily use. Once you know what you have, you can decide where to put it. You’ve heard the old saying, ‘a place for everything, and everything in its place’. 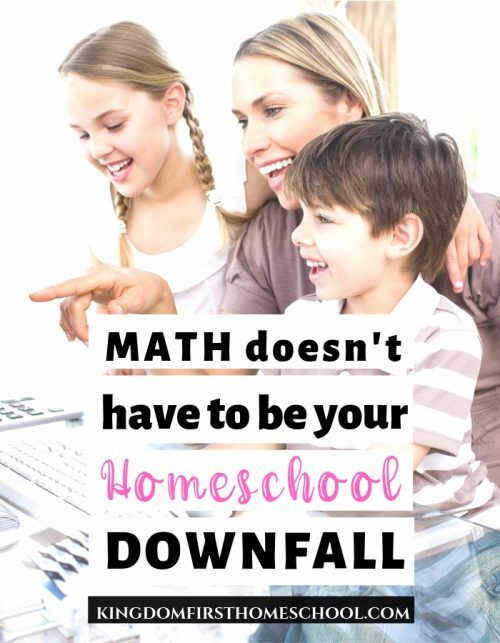 This really helps to fight the mess and the overwhelm which can get any homeschool mama feeling down. In my home, we have a few main spaces we like to use for lessons, but our homeschool room holds our materials for us. Think baskets and bookshelves. Maybe tubs stored away under beds is more practical for you? At least for the materials you aren’t using on a daily basis. I like to keep my planning materials and our term materials on our bookshelf. My children have a basket each to keep their daily materials in, and they are responsible for their own belongings. Most other items get stored away for when we need them. One last thing you might need to take into consideration is the age of your children. If you have teenagers, they may prefer to have quiet and private spaces for independent work. Setting up a desk in their room might be more appropriate than having them work in a homeschool room. 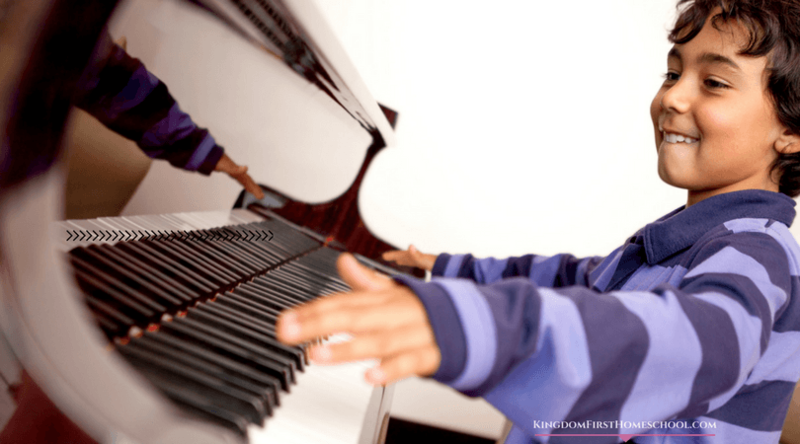 On the other end of the scale, if you have toddlers joining in the fun, keeping school resources out of reach, and finding a home for toys to keep them occupied during lesson time may be a major consideration for you. Every family and every homeschool is different. It’s one of the things that makes home education so amazing. So remember that while it can be fun and helpful to see how other families use their homes for learning, don’t get caught up in the comparison game. Use what you have in a way that works for you. And have fun with it! 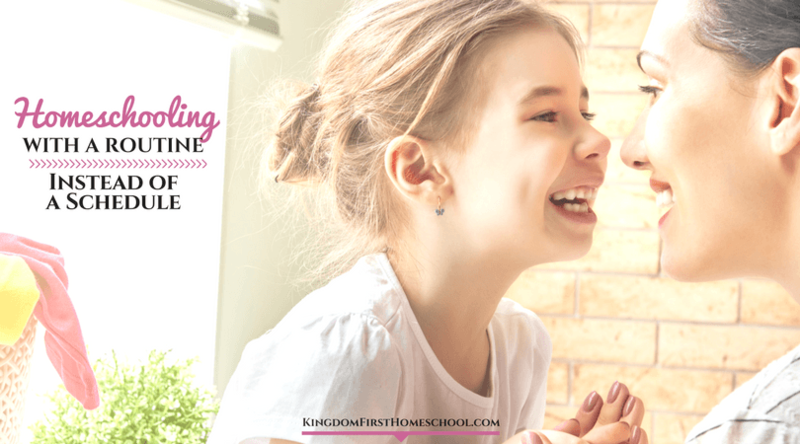 This is day 17 of my Homeschooling 101 Blog Series … I’m so glad you are here! Don’t miss all the other posts. Oh and don’t forget to join the exclusive Facebook group to chat it up with other homeschooling mamas in our amazing and growing community!